Thinking about becoming an in-home day-care provider? It’s a good gig for many Solo Moms, but before you take the leap, here are answers to some of the most commonly asked—and important—questions. Q: I am thinking about becoming a private day-care provider, but what, exactly, does that job entail? 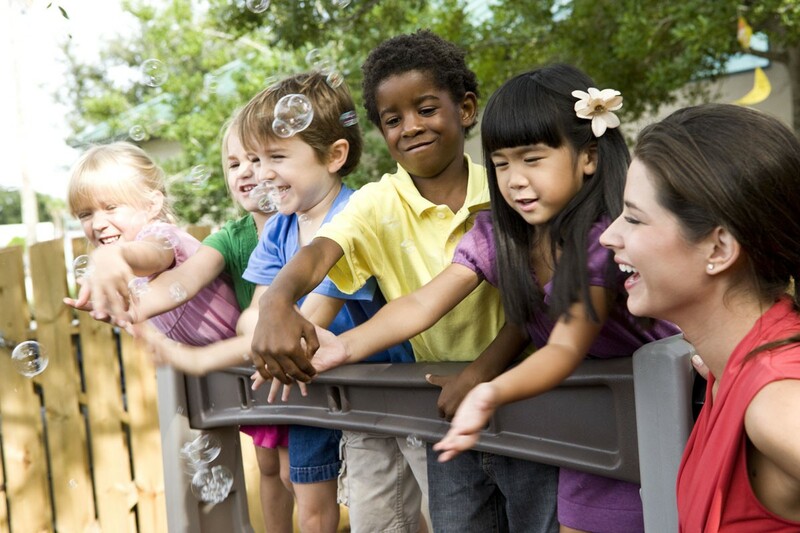 A: Private day-care providers offer safe and appealing programs to meet the needs of children of varying ages. You need an open, clean space where parents would be happy to leave their children. You need age-appropriate toys, books, and games, along with furniture that is scaled for kids. All private day-care providers are obligated to satisfy state requirements. Q: How do I know what my state requires? A: Locate your state on this map to find all the information you need about child-care licensing in your state. The map provides a link to the state page from the National Association of Child Care Resource and Referral Agencies (NACCRRA) reports. These reports are condensed into a convenient one-page fact sheet with child-care information. These are related to the state demographics and include the price of child care and other data relevant to child care in that state. Q: In addition to meeting basic regulations, is there anything else I might have to comply with to open a child-care business? A: Yes. If you are going to care for more than one or two infants, many states mandate that you hire a helper. Also, depending on where you live, you and any staff members you hire may be required to receive training in basic first aid and CPR, and you may have to take a course in detecting and reporting child abuse. If you are going to provide meals or snacks, and almost all day cares do, you will have to follow regulations ensuring the proper preparation and storage of all food to keep children safe from exposure to food-borne illnesses. You may have to have a safe and dry place to store children’s medical records. You and all staff members will have to be actively aware of any food allergies and what to do in case a child is exposed to the allergen. You will also have to keep abreast of any fire safety regulations and childproofing mandates. Q: Can I use my current living space, or do I need a separate area reserved exclusively for the children I watch? A: In-home child care is exactly as its name states. You can have the rooms in your home serve double-duty: a spare bedroom can work as your nursery, and you can use your living room as a play area. Children are permitted to eat at the kitchen table that you and your family use. As long as spaces meet safety regulations, they can be incorporated into your child-care business. Q: I want to start a child-care business, but I don’t have a lot of money to begin. I also am not sure how to create a business plan. Is there any help out there for the Solo Mom needing start-up money and planning assistance? A: Yes; there’s good news on this front. Women’s Business Centers (WBC) has a statewide network of almost 100 educational centers in the United States and its territories. These centers are intended to support women in starting and expanding small businesses. The United States Small Business Administration’s Office of Women’s Business Ownership supervises the WBC network, which provides entrepreneurs with all-inclusive training and counseling on a range of topics, and they are available in several languages. WBC has special incentives and help for women who are economically or socially disadvantaged and hosts this state-by-state guide that offers valuable resources. Q: What about insurance? Will it change? A: Yes. You need to speak with your current insurance agent before opening a home-based child-care business. Most likely, you will need property damage coverage as well as liability insurance. This will protect you in case a helper, parent, or child gets hurt while on your premises. Many home-based child-care businesses get a rider added to their current policy to cover business use of their homes. There are, however, policies that are tailored to home day-care businesses. If you are going to use your vehicle to transport children, you will need to upgrade your car insurance to include business use. Q: How do I set hours and rates? A: You need to determine what works best for you and your family. Most home-based child-care centers have set hours that are spelled out in contracts with the parents. Usually, these are from around 6:00 or 7:00 a.m. to 6:00 or 7:00 p.m. Some centers also offer overnight care for the children of parents who work later shifts. Rates are usually a flat fee for the hours the parents need. Research what other businesses are charging for similar services so you can set competitive rates. Q: What about forms? What types will I need to create? A: A quick search on the Internet will provide you with templates for the necessary forms. You will need to create enrollment forms that ask about each child’s unique needs, including food allergies or any other special considerations, emergency contact forms, and a copy of your child-care business policies. This is where you put your hours of operation, rates for overnight and/or emergency care, and anything else outside your normal operating policies. Q: How will I find children and their parents? A: Even if you live in a rural area, there are plenty of ways to find clients. You can place ads in the local paper or post fliers in places where parents gather. Good places include grocery store and Laundromat bulletin boards. Tell your family and friends you are opening the business so they can spread the word. Create a website for your business, including pictures of your space and rates, so interested parents can find you online. Setting up a home-based child-care center is lots of work, and running it on a day-to-day basis will be lots of work, but it’s also rewarding. For Solo Moms, earning an income while helping other families and being with their children during the day can be a perfect fit.